As so often happens, it only takes a day, sometimes just a single moment, to change the course of history. The 20th Century in particular was defined by several of those monumental moments: the Assassination of Archduke Ferdinand II; Pearl Harbor - yet no single moment has captured the imagination nor had more of an impact on subsequent generations as the assassination of John Fitzgerald Kennedy. His death on November 22, 1963 ended an unprecedented moment of hope for the world, for in the previous two years as President, JFK has successfully navigated the Cuban Missile Crisis, derived his famed Berlin Wall speech and proposed legislation that would legitimatize the Civil Rights Movement. By the end of 1963, the President was busily touring the nation trying to win over the areas of the country that had opposed his presidency. 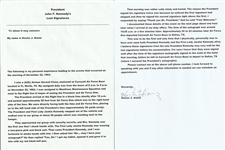 No place was more anti-JFK than the state of Texas. 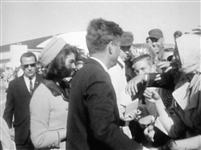 Against the advice of his family and close aides, JFK decided to make a whirlwind tour of the Lone Star State, accompanied by his glamorous wife, Jacqueline. The President arrived in Texas on Thursday, November 21, 1963. 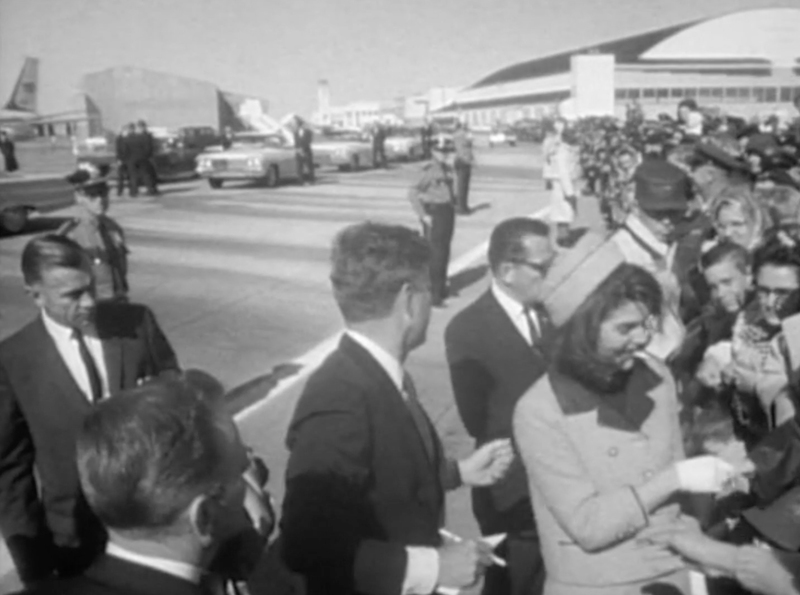 Kennedy and his entourage commenced a one-day, three-city sweep that included a hospital dedication in San Antonio, dinner in Houston and an overnight stay in Fort Worth. 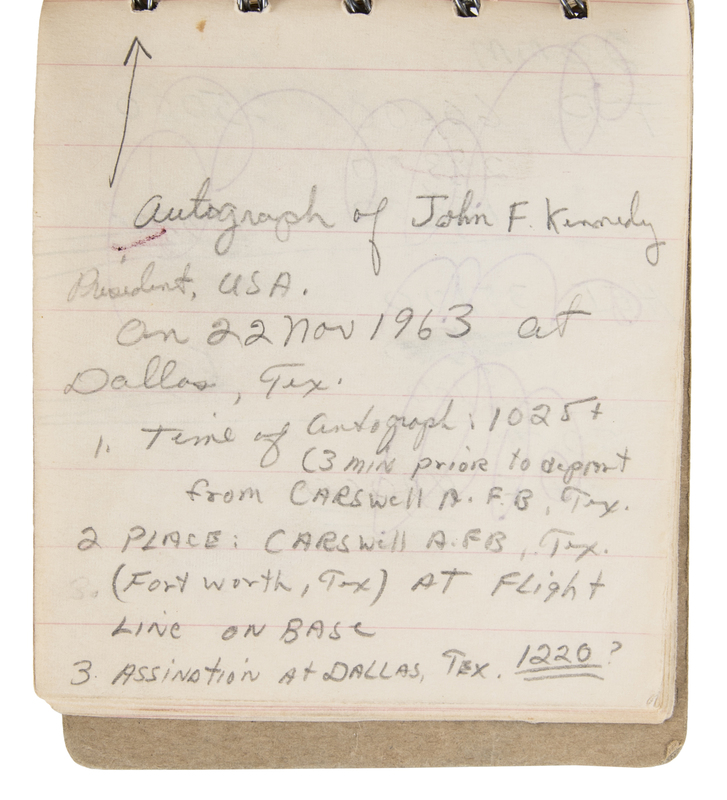 The following morning, JFK gave a breakfast speech to the Fort Worth Chamber of Commerce, after which the group proceeded to Carswell Air Force Base outside town where Air Force One awaited to take them on to Dallas. 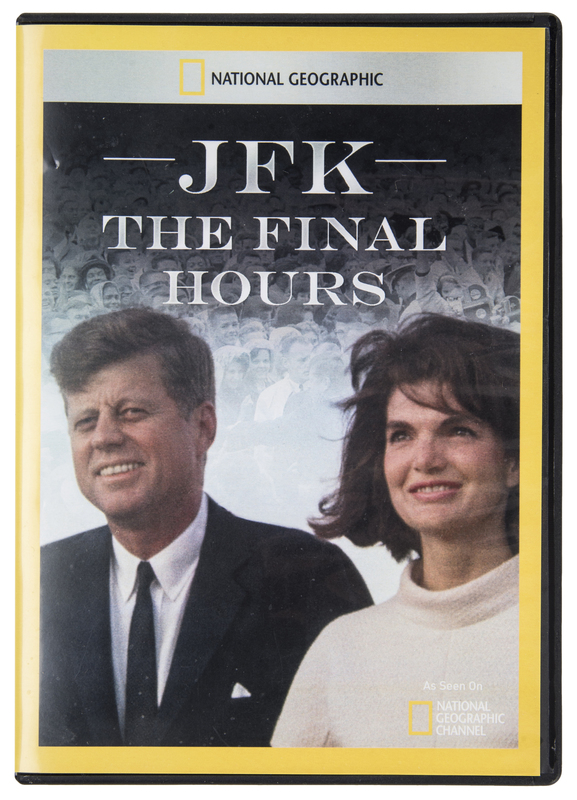 At approximately 11:15 AM, John and Jacqueline Kennedy stepped from their white convertible Lincoln limousine, Jackie resplendent in her pink Chanel suit with matching trademark pillbox hat and her husband in his typical dark suit and tie. A military band played as the President shook hands with the awe-struck servicemen who lined his path to the jet. 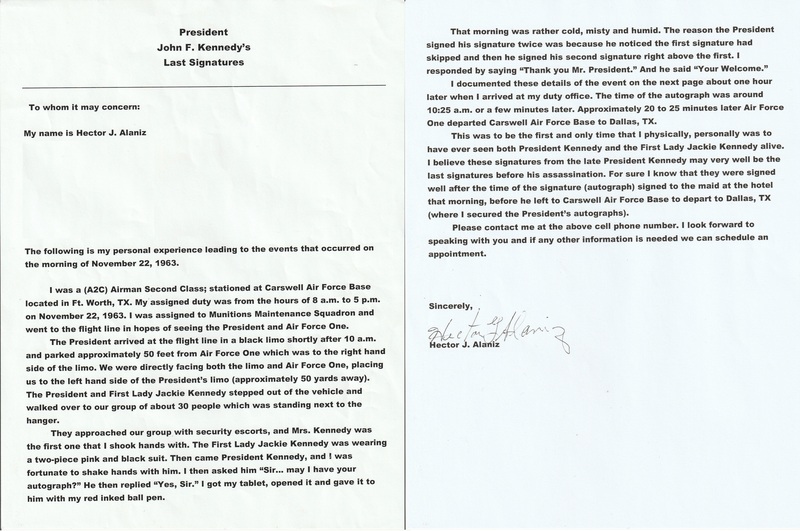 Then, just before Kennedy reached the steps that led up to Air Force One, a small, spiral bound note pad was thrust towards him to sign. Despite the tight schedule, the President took pen in hand and hastily signed a blank page of the pad. 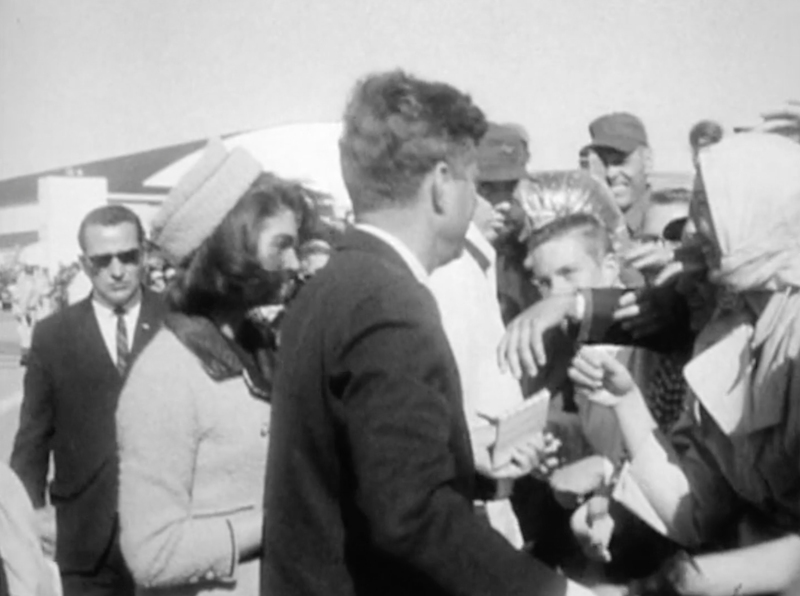 Then, more handshakes, a final wave from atop the staircase, and Air Force One taxied down the runway towards history. The time was now 11:25 AM. 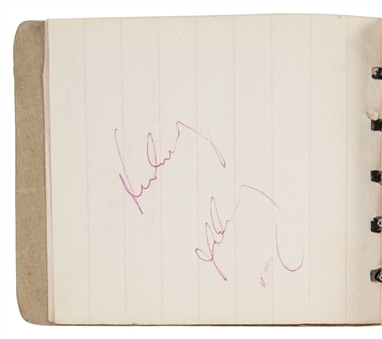 With his assassination occurring at 12:30 PM, this note pad is thought to hold the very last signature of John F. Kennedy. 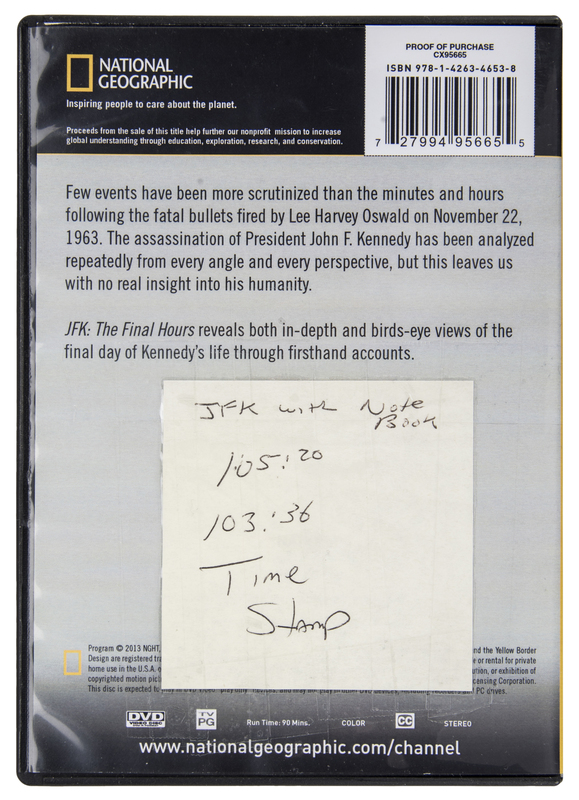 Further provenance for this piece is a National Geographic DVD on the Kennedy Assassination “JFK The Final Hours” in which the president can be seen on the flight line at Carswell Air Force Base signing what appears to be this very notebook. 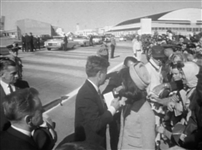 On 22 Nov 1963 at Dallas, Tex. 1. Time of autograph: 10:25+ (3 min prior to depart from Carswell A.F.B. Tex. 3. Assination (sp) at Dallas, Tex. 1220? The simple 4 x 5-inch spiral-bound notebook shows surface wear to both covers and metal fasteners. 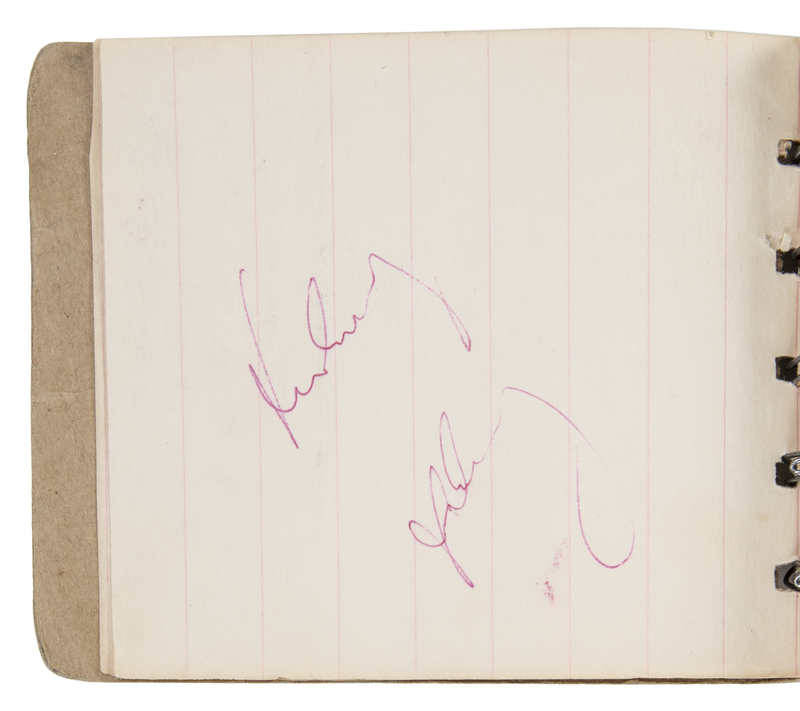 There are many notations and figures hand written on the inside and outside covers in pens and pencils of various colors. The interior pages are in much finer condition, with some light toning around the edges of each page and some light tearing along the holes where the metal spiral binding is secured. 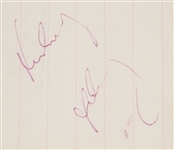 The page with Kennedy’s signature contains only the signature, written in red ballpoint with some light smudging below. 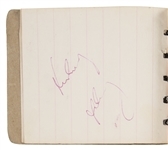 As previously noted, the original owner has thankfully used the adjacent page to carefully write out in pencil all the details and significance of the signature captured within the small book. 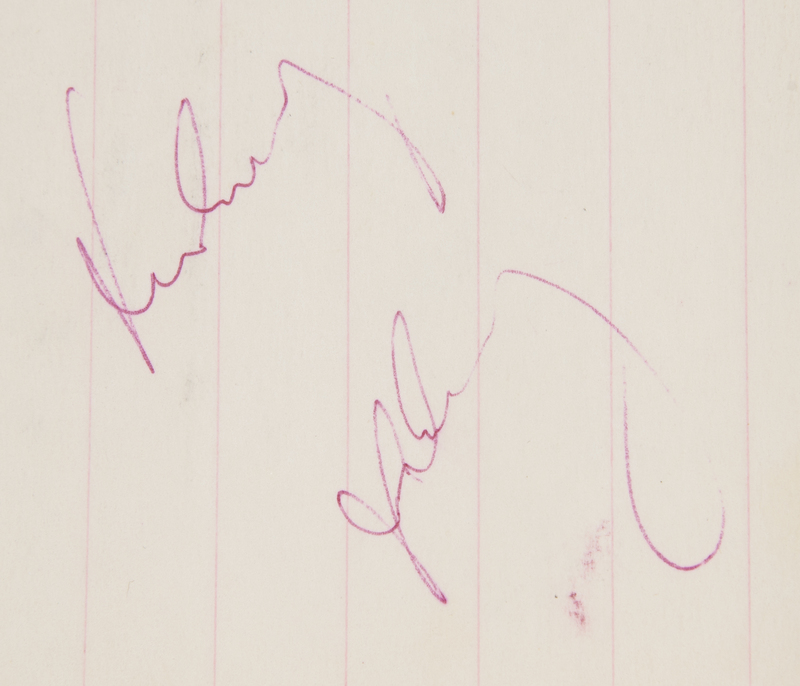 A tremendous signature with a direct link to last moments of America’s innocence and the beginning of the modern era. 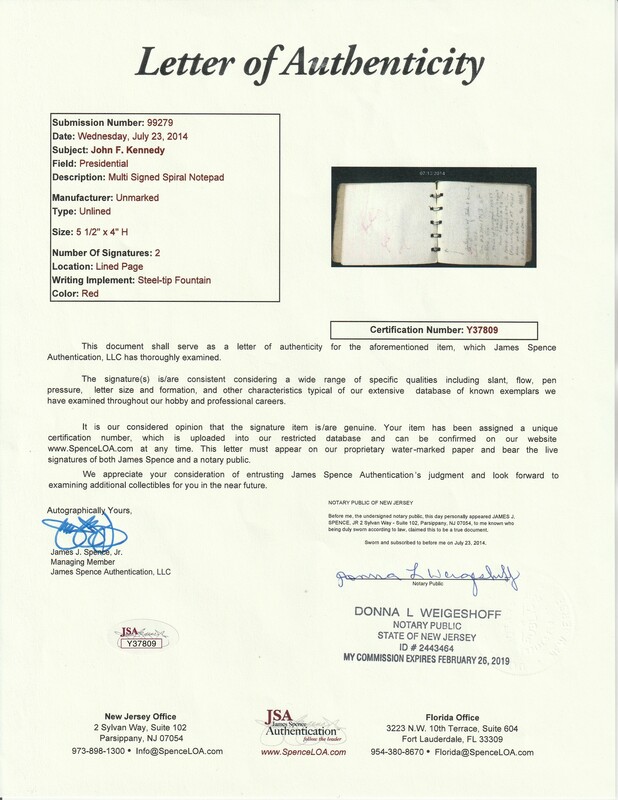 This signature comes with a LOA from JSA and a detailed letter of provenance from Airman Second Class Hector J. Alaniz.